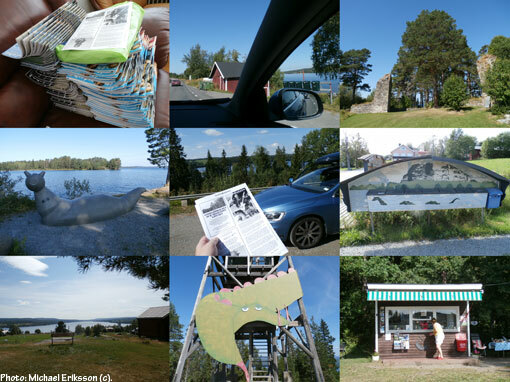 Spent six hours in good company in the southern parts of Lake Storsjön (The Great Lake) today, giving out another 225 RETROFUTURE magazines and 500 flyers. This is part of the project that started back in 2010 that highlights the interest that this publication has in the Great Lake Monster mystery. With todays effort, people living around the entire lake has received magazines and flyers, so this has been one hell of a project. Still, more is to be done – the plan is to have handed out 15.000 magazines and 5.000 flyers by 2016. This is part of The Last Hurrah! As usual, plenty of interesting things to see and I think these snapshots kind of speaks for themselves. The old archive is certainly getting bigger with each trip.